We’ve been singing praises about standing desks recently. Thanks to Stance Philippines, the first brand to sell the aforementioned product in the country, we were able to experience working with a standing desk for ourselves. Over the course of a week, we checked out if there were any truth to the studies and the statistics we were writing about—if these fancy tables really did live up to the hype. 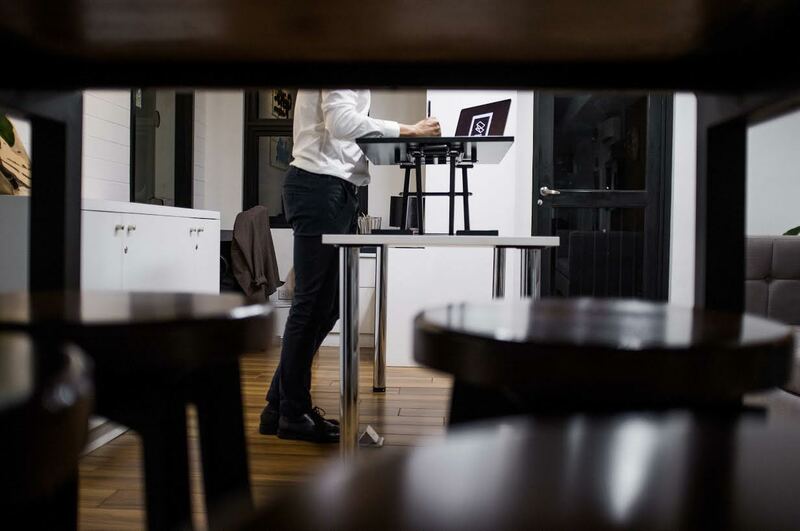 One of the things that we appreciated the most about Stance’s standing desk is the sleek and easy-to-use design. My first concern at the prospect of installing a standing desk to my reasonably small cubicle is that it might be bulky. I was worried there won’t be enough space to fit it in. 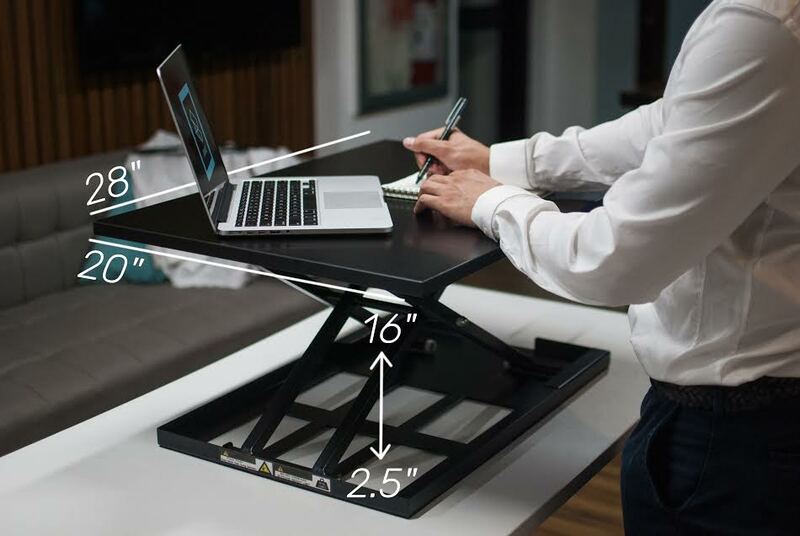 With Stance’s standing desk, it’s just like placing a 28×20-inch tablet on your table. Then, you just pull a lever on the side to raise the desk as high as 16 inches or as low as 2.5 inches. You don’t even have to assemble it once it’s delivered. You just have to place it on your table, desk, or cubicle. It’s foolproof. A couple of our editors have been enduring back pains for some time now. It gets to a point where they experience headaches that hinders their work. The long hours spent sitting down, crouched over while hashing out stories on our computers can cause, if not worsen, the aches and pains they’re feeling. The cold office airconditioning and the uncomfortable office chairs sure don’t help either. 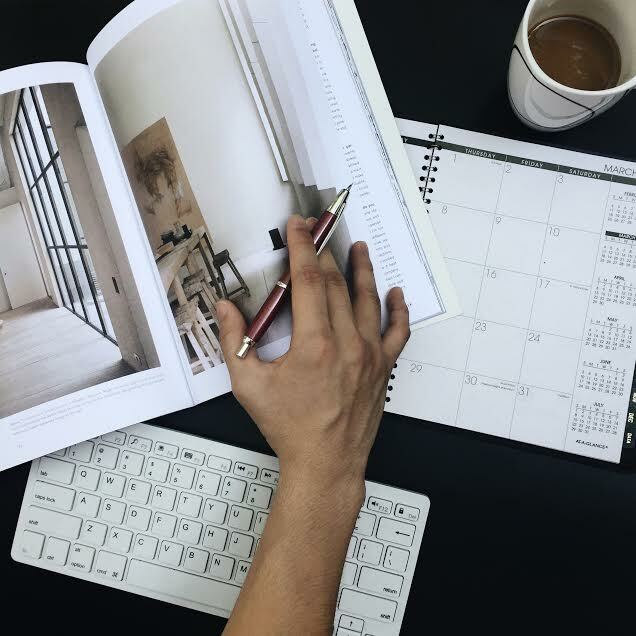 Having the option to work while standing helped plenty with their back pain, alleviating the pressure from their back and relaxing it from being slouched over. This also decreased their headaches and allowed them to work better and write more through the day. 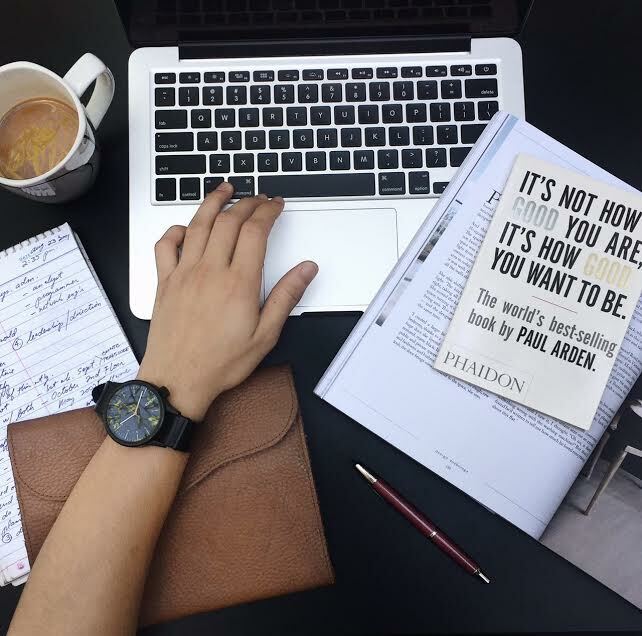 Sometimes, all you need to bring the spirit of productivity back into your life is a change in environment. But not all of us have the freedom to bring our work to a cafe or anywhere outside the office. The standing desk is a good and easy compromise. With a pull of that lever, you give yourself the illusion of being somewhere else. It also makes you feel like you’ve gained a whole new perspective, even though you’re looking at the same office space. Working while standing also makes your body feel more active. Technically you’re still stationary, but standing is still more active than the act of sitting. It makes you feel more awake and alert of your surroundings and makes your brain more active. We had one small, indirect issue with the standing desk. Since our team was the only one who had it in the office, it put whoever was using the desk in the spotlight. Being the only person who has their computer monitor about five inches in the air tends to make you stand out. Consequentially, it also makes you self-conscious about your procrastinating tendencies. Another small issue, which might actually be considered a non-issue by some, is that listening to music while standing makes you want to dance. No dance numbers took place during our one-week trial, but still. It was trying. You need to have two simple things in order for the standing desk to be effective: comfortable shoes and good posture. Since you will be standing for quite a while if you choose to work with a standing desk, it helps to have comfortable shoes on. If you don’t, you might be saving your back but you will be killing your feet. If you stand for a long time while slouching, it also defeats the purpose of the desk. It hurts your neck and sometimes your lower back, too. At the end of the day, what we can say about the Standing desk is this: It only helps if you help it help you.